If you are looking for a high quality daily hand made pasta and authentic Italian pizza which had made a fair bit of waves in the town since last year, it is CaPriCcioSa! Back in 1978, Capricciosa has already started to gain praises and created a hit for Italian pasta made by the talented chef Masaki Honda who was awarded numerously around Europe and Italy. 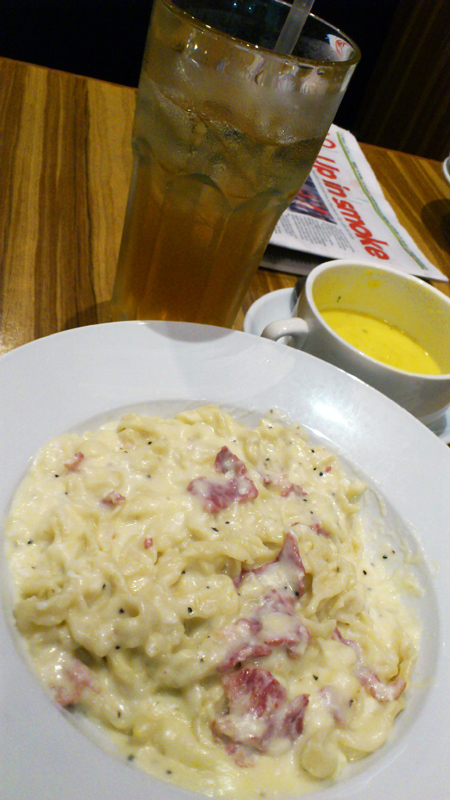 We tried the carbonara pasta from the set lunch RM9.90 which comes with soup of the day (pumpkin soup) or salad, and (additional RM2) free flow drinks. The fresh fettuccine could be simply one of the best in town! It is also perfected to be slighly thicker which turns out to be really springy, just as they claim “Cook-to-order and served al-dente”. We have to admit from the bottom of our hearts it is really ‘perfecto’! While the house recipe carbonara is much to the eggy side and less garlicy, abit too wet for me though. 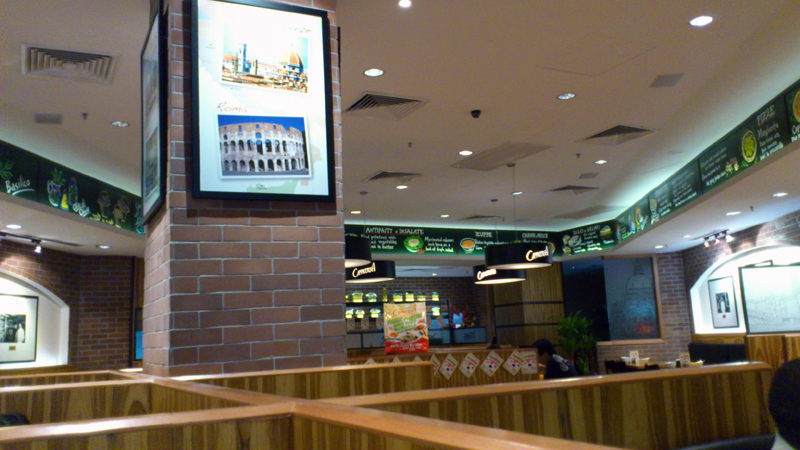 The only downside was the ice lemon tea which so far seemed to be most watered down ever tasted. 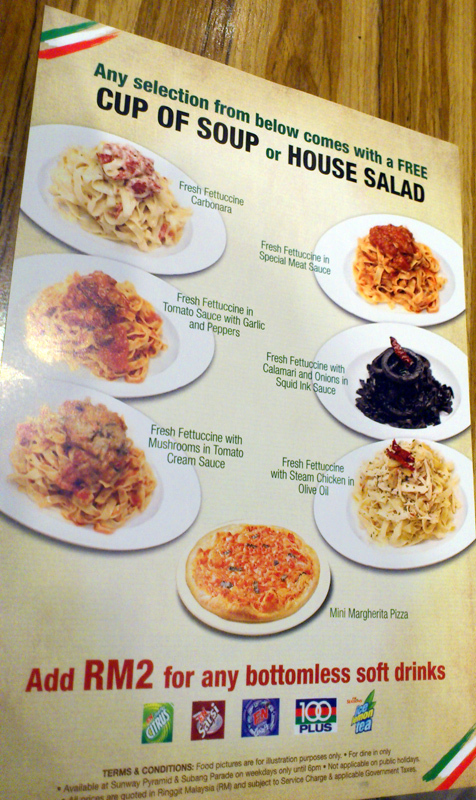 Oh well, can’t expect too much from such great value as average prices of the ala-carte pasta is around RM 20. 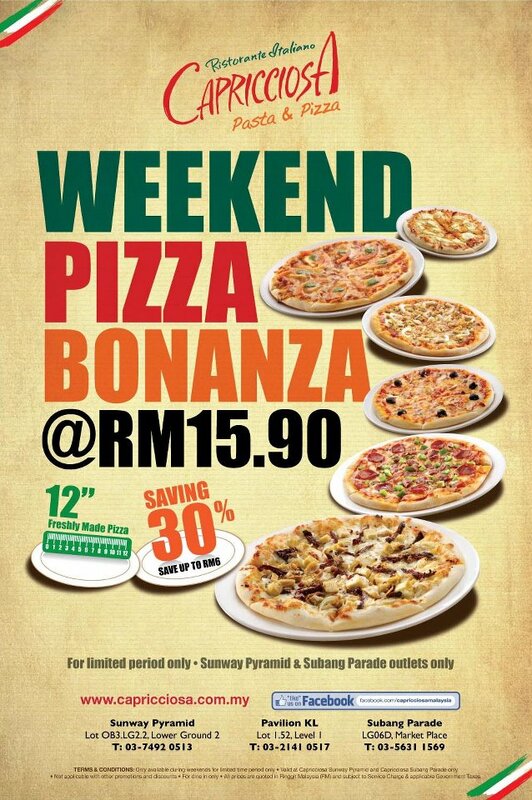 - both are NOT (updated accordingly as Capricciosa latest news) valid at Pavilion outlet. 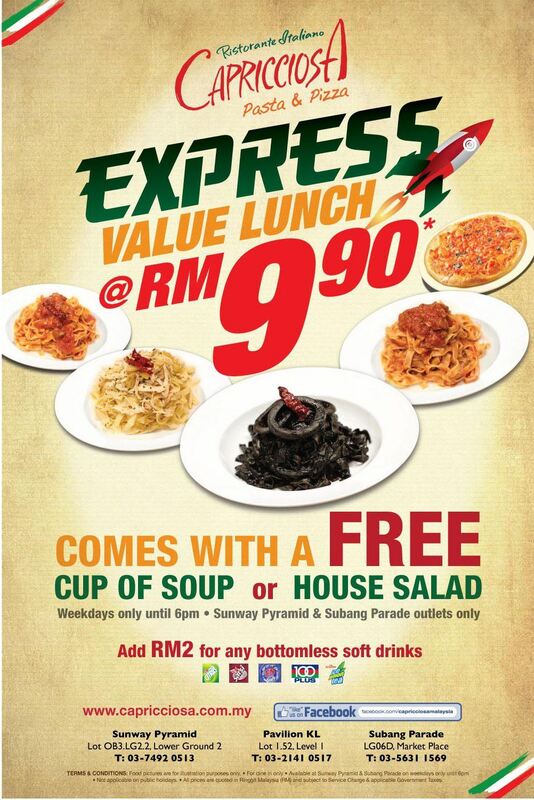 We only wish they could offer more choices for the promotions so that we get to try more, like the 4-day-craziest-deal-RM7.90 they had last Nov 2011. This entry was posted on Thursday, April 12th, 2012 at 12:39 pm	and is filed under Food Promo, Heavenly Klang Valley Food, Set Dinner, Western Restaurant, set lunch. You can follow any responses to this entry through the RSS 2.0 feed. You can leave a response, or trackback from your own site.